In the first pages of Create Dangerously: The Immigrant Artist at Work, Edwidge Danticat opens with a descriptive recounting of the execution of Marcel Numa and Louis Drouin. Though these two men, members of a guerrilla army fighting against then-president Papa Doc Duvalier, were executed before Danticat’s birth, she considers their story one of her “creation myths” – a story that haunts her, that she obsesses over. Since her memory cannot take her back to 11/12/64 – the date of the execution, she has filled in the details of their story with photographs, books, films, etc. Like her character, Yannick, in Stones in the Sun, Danticat has committed herself to being a witness to Haitian history. In reading that first essay, from which the book takes its title, and the ten essays that follow, I began to piece together ideas that had been circulating in my mind: Kalamu’s essay on the value of being immersed in an era/culture; the sincerity and necessity of art as activism; and the types of commitment and sacrifice that artists are required to make. I have always taken for granted that this story, which is yours and only yours, would always be read as such. But some of the voices that come back to me, to you, to these hills respond with a different kind of understanding than I had hoped. And so I write this to you now, Sophie, as I write it to myself, praying that the singularity of your experience be allowed to exist, along with your own peculiarities, inconsistencies, your own voice. In my notes, I jotted down that Edwidge is my sister-aunt, because after being a fan of her work for half of a decade, this is the first time I’ve truly seen her and empathize with her. In discussing some of the backlash she’s received from within Haitian communities, I see more than an award-winning writer that I look up to; I see a woman who struggles with the responsibilities of her writing gift and with her Dyaspora1 duality. The honesty that exists in this more personal essay pervades the entire collection. In a most truthful way, Danticat shows the complexities of herself, her family and her mother country in each essay of the collection. There are no overly romanticized reflections nor are any of the recounted stories littered with bitterness. 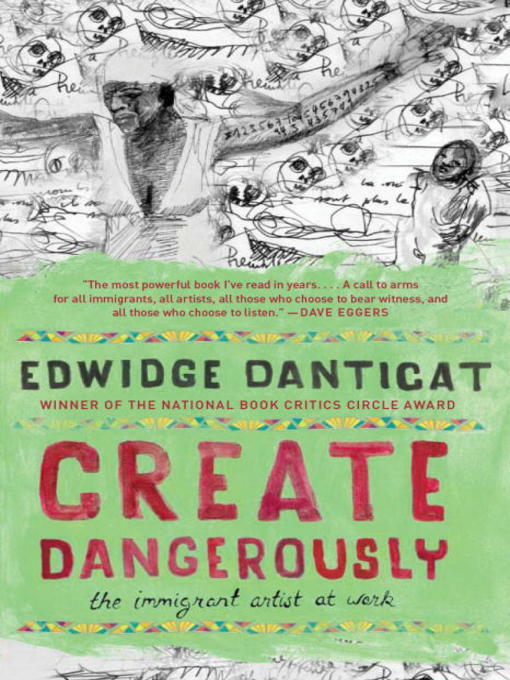 Through essays on political violence, family, art, and natural disasters, Danticat’s eloquence permeates. 1Dyaspora is a term used to describe Haitians living outside of Haiti; it sometimes has a derogatory connotation like Akata.